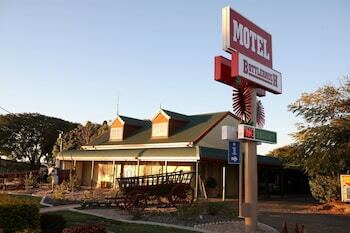 With a stay at Bottlebrush Motel, you'll be centrally located in Capella, within a 10-minute walk of Capella Pioneer Village and Clermont Capella Uniting Church. The front desk is staffed during limited hours. Free self parking is available onsite. With a stay at Jaspers Apartments in Brunswick Heads, you'll be a 1-minute walk from Brunswick Picture House and 8 minutes by foot from Torakina Park. Free self parking is available onsite. A stay at Mantra In The Village places you in the heart of Port Douglas, within a 10-minute walk of St Mary's by the Sea Chapel and Sugar Wharf. Free self parking is available onsite. When you a stay at Sanctuary Beach Resort in Currumbin, you'll be on the beach, within a 5-minute walk of Currumbin Wildlife Sanctuary and Tugun Beach. Free self parking is available onsite.